What is multi-channel? How about cross-channel? Marketers themselves seem confused according to this article by Mediapost. It’s been defined as “data-enabled targeting”, linked to “behavior” and “customer lifecycle”. We’re going to throw our hat in the ring, with CEO George Schlossnagle’s detailed definitions on multi-channel and cross-channel, in articles featured on Mashable. Experian provides some advice for marketers nervous about dipping their toe into cross-channel marketing. Begin cross-channel listening first, then use that data to optimize email campaigns based on how customers choose to engage with the brand. 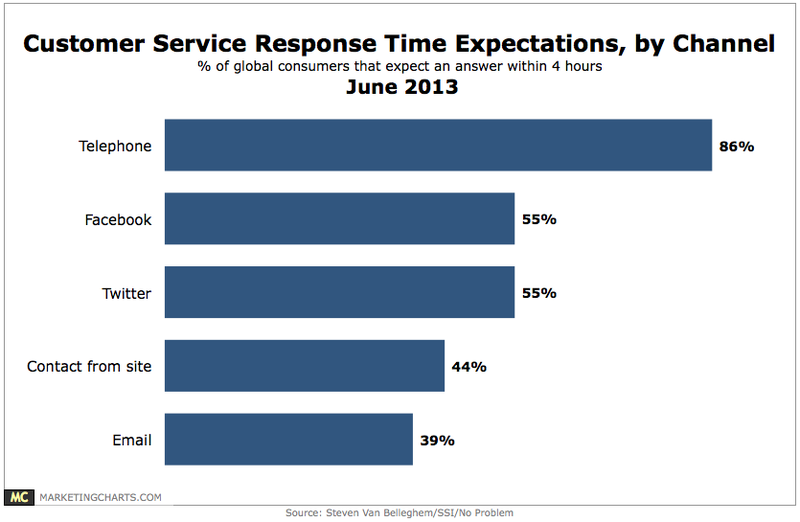 If you are providing customer service through multi-channels, what do customers expect in terms of response time? This study by Steven Van Belleghem, in association with SSI and No Problem has the answer. Compare this with an earlier Socialbakers study and we see the disconnect. Brands only answered 38% of questions posed to their Twitter account after an average lag time of 6.5 hours. Brands were more responsive on Facebook, answering 60% of question posted there, but took almost an entire day. In the rush to adopt cross-channel marketing, email should not be forgotten. Here are a few tips to optimize your email campaigns. 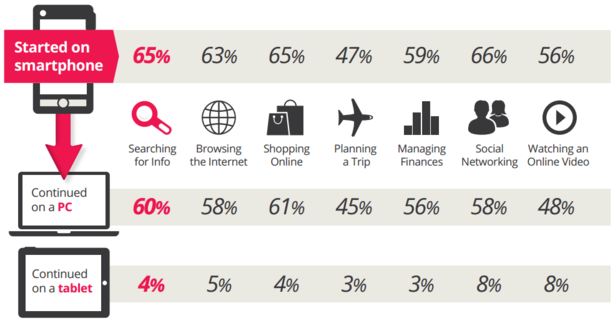 And here are some stats from Google on how multichannel journeys begin and progress. Find out more about The New Communications Standard – drive engagement by combining email with mobile messaging!